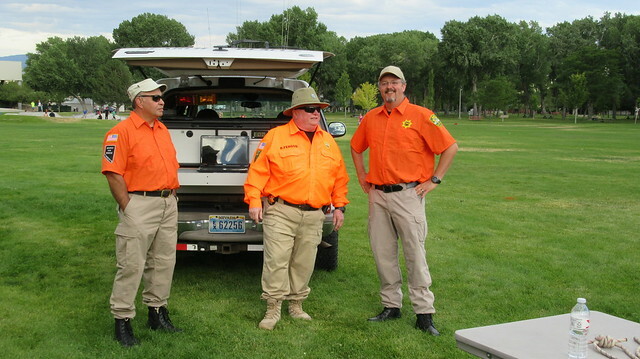 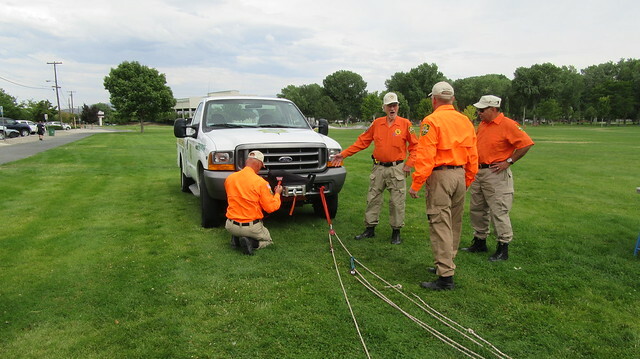 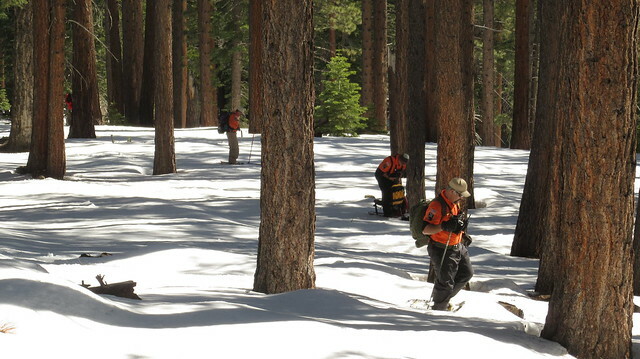 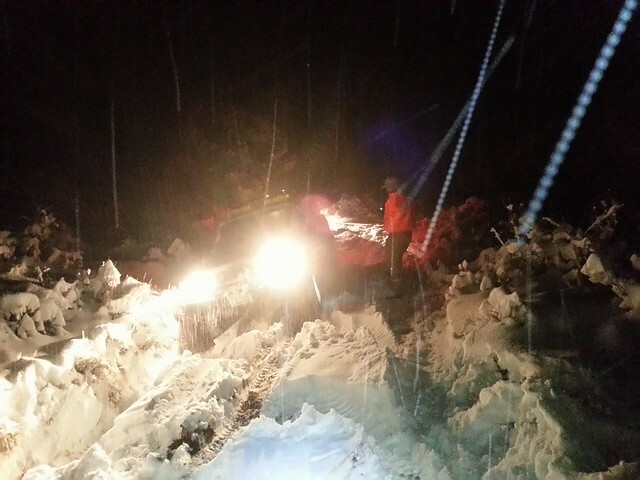 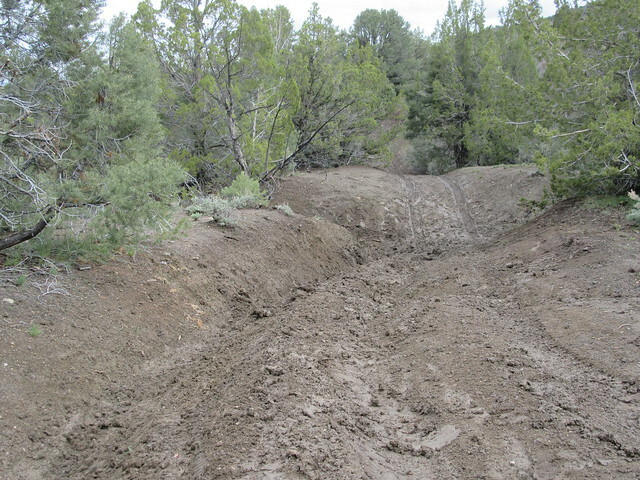 Here’s a look back on what Carson City SAR has been up to since last Summer. 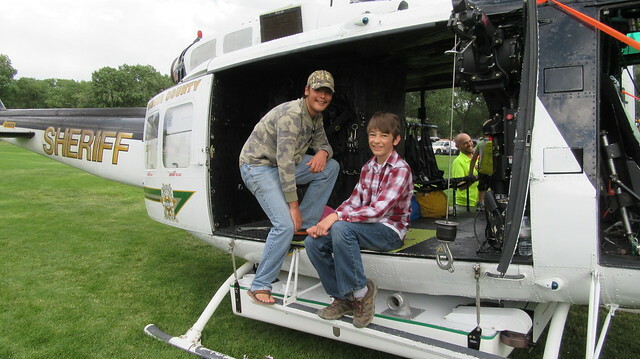 National Night Out is an annual community-building campaign that promotes police-community partnerships and neighborhood camaraderie to make our neighborhoods safer, better places to live. 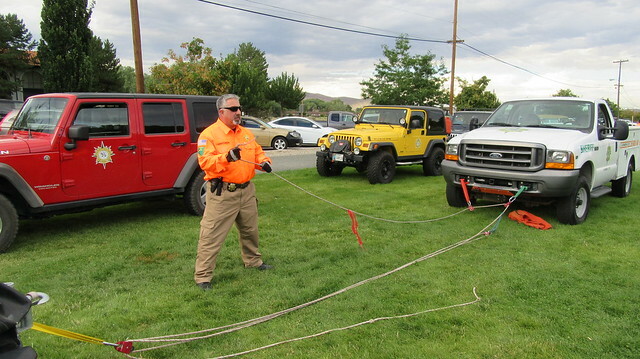 As part of the Sheriff’s Office, SAR joined the event with an interactive Ropes Team display. 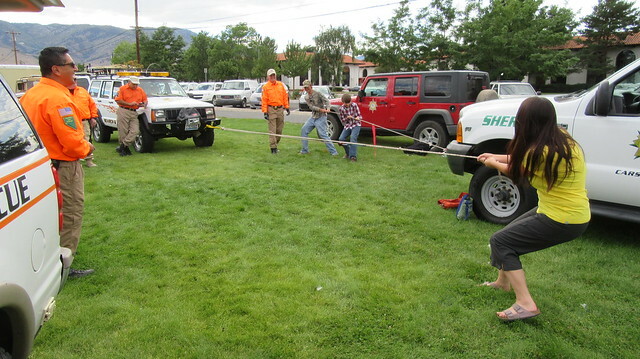 Using a mechanical advantage pulley system, we setup unfair tug-o-war competitions to teach the event goers on how we can use these systems for rope rescues. 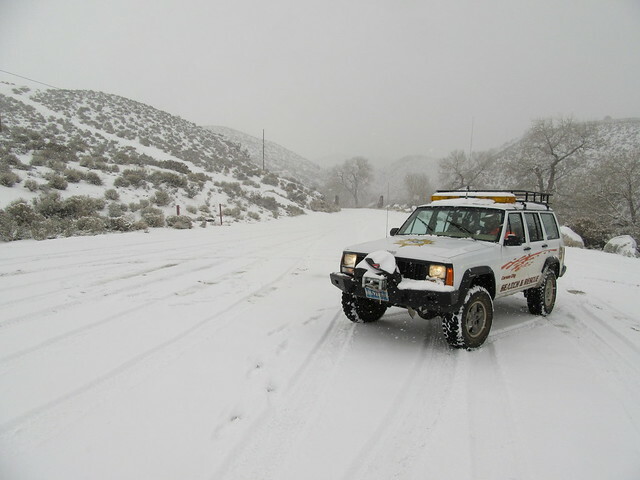 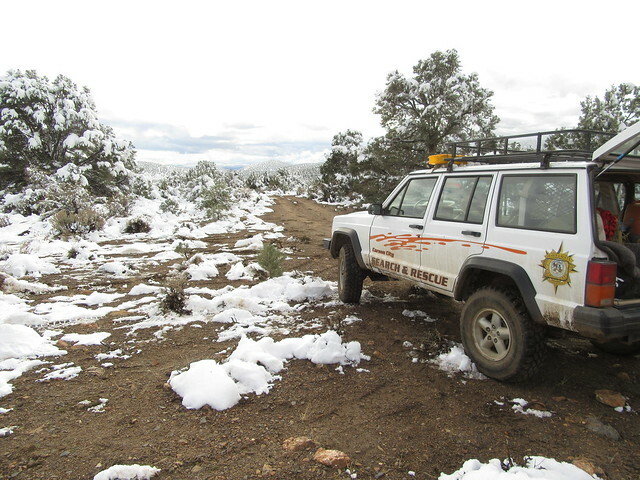 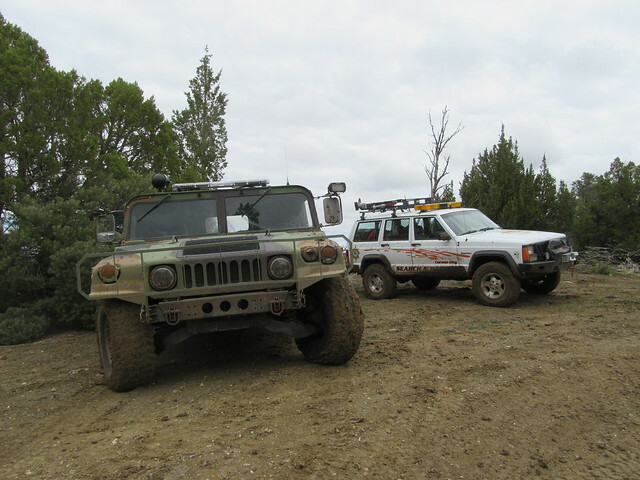 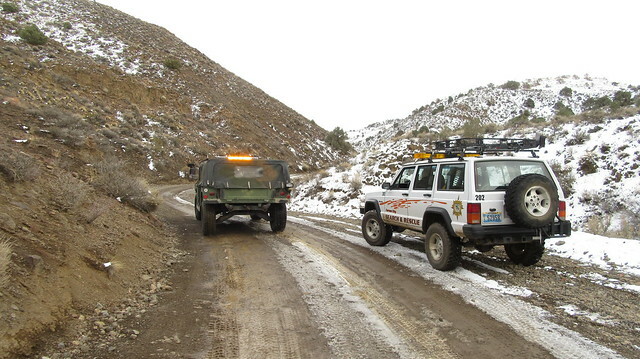 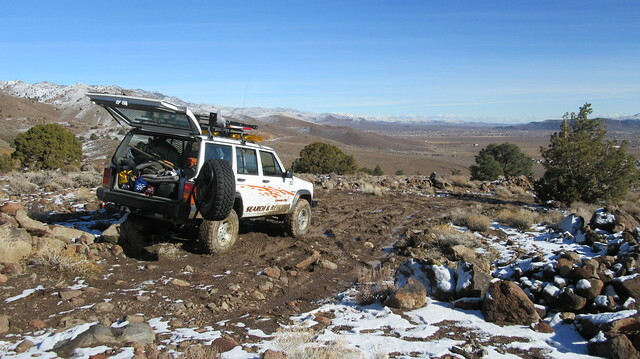 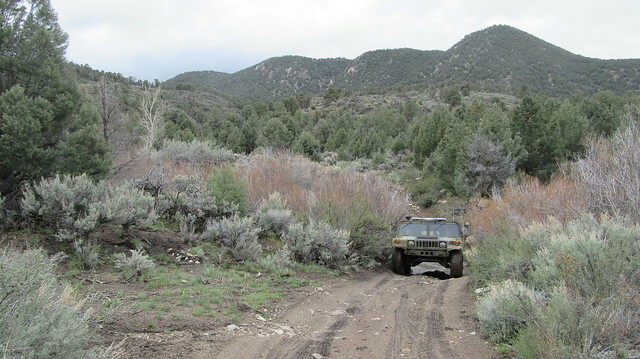 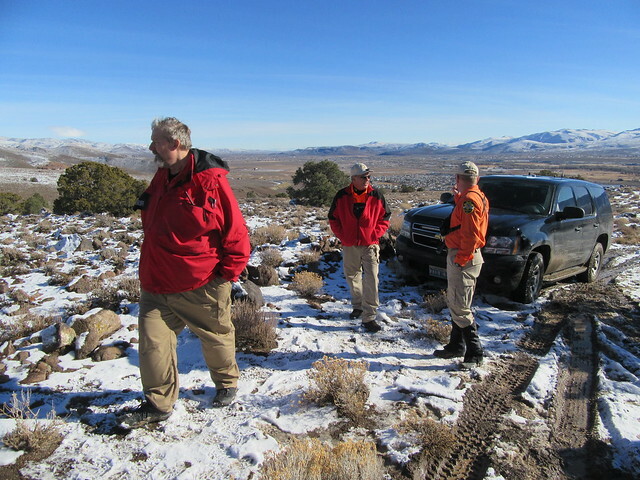 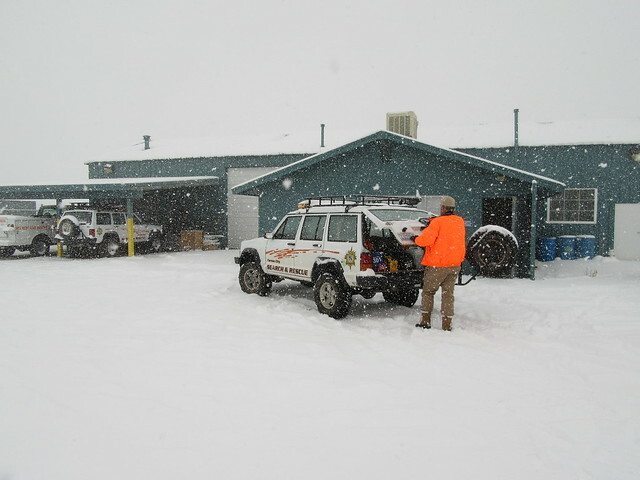 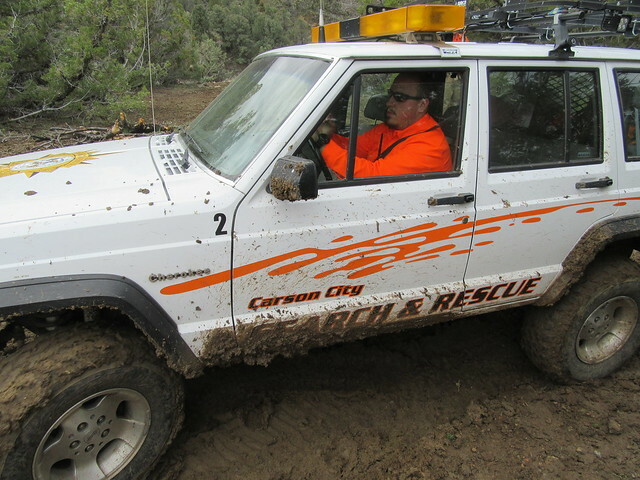 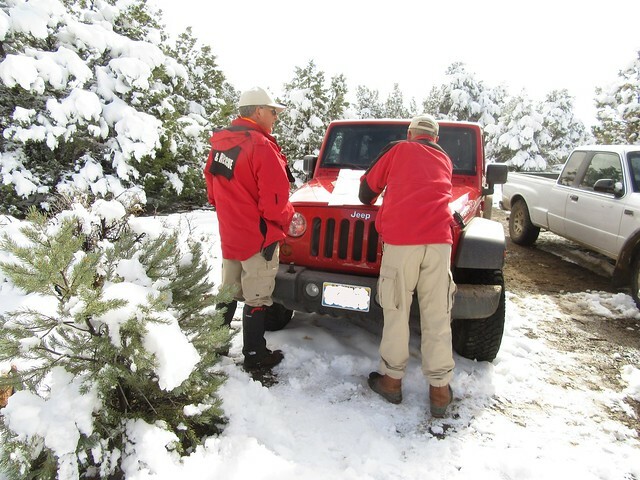 Nevada Energy donated a vehicle to Carson City SAR back in October. 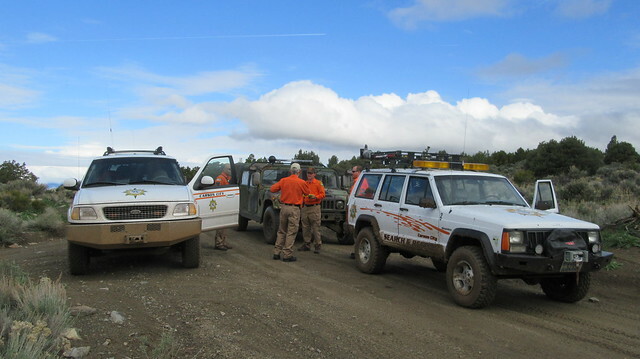 As an all volunteer organization that relies on community support to complete our mission, donations of this magnitude are invaluable and greatly appreciated! 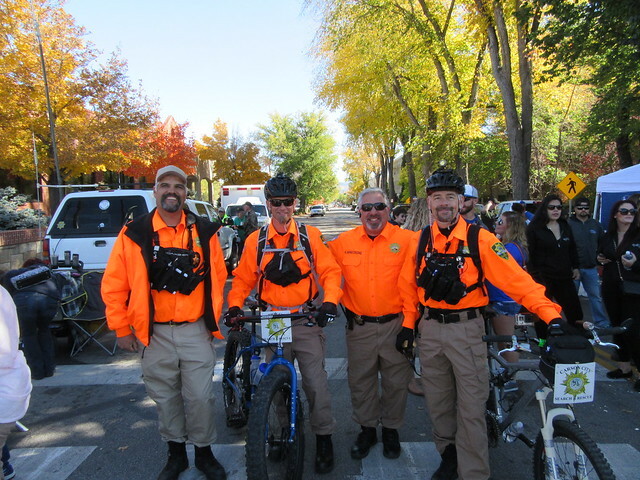 In October we assisted with the Nevada Day Parade. 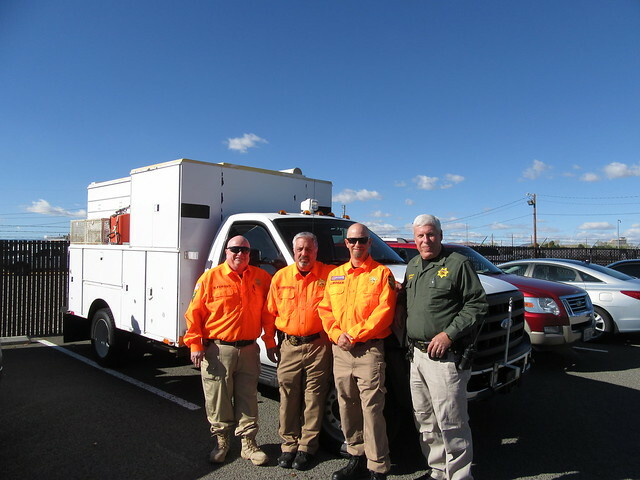 SAR helped out with traffic control at intersections, and the the Bike Team roamed the parade route, even helping to return a lost child to his parade group. 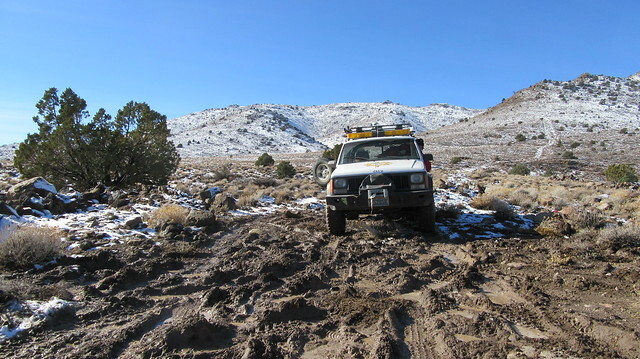 Winter got started in November, and it was a good one. 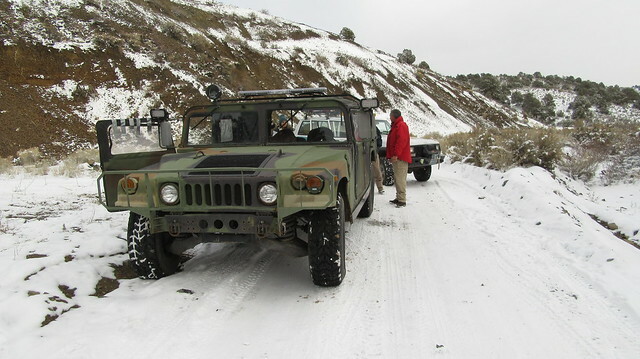 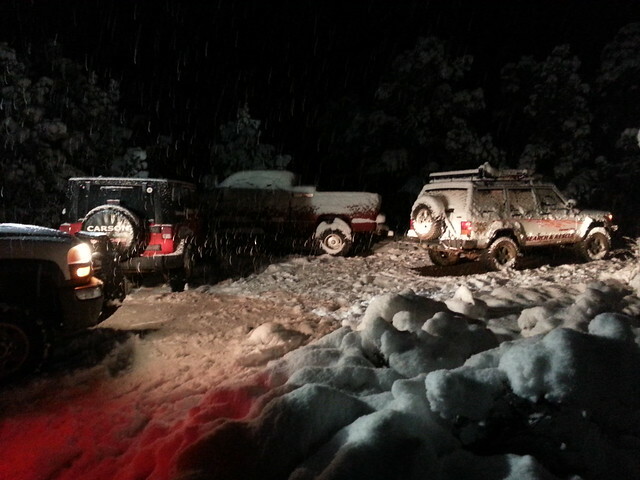 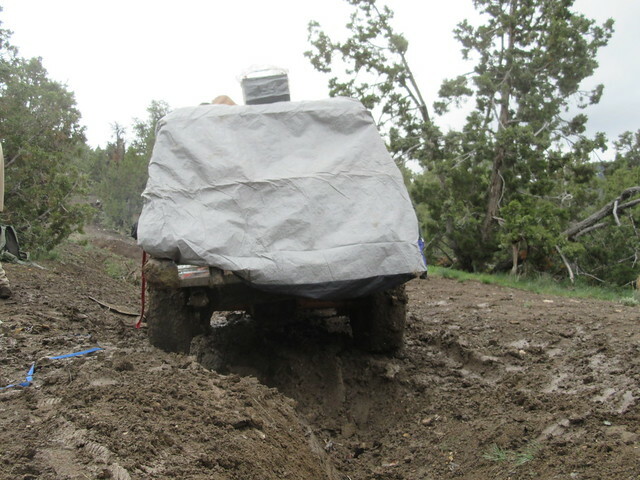 Rapidly changing weather conditions caught many off guard, and they ended up getting stranded in the mountains surrounding Carson City. 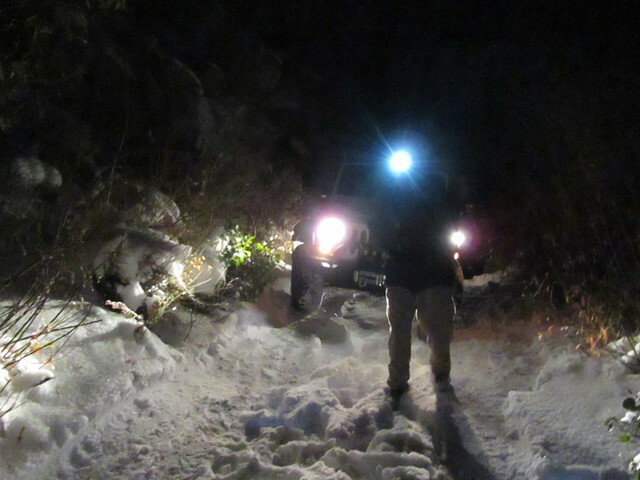 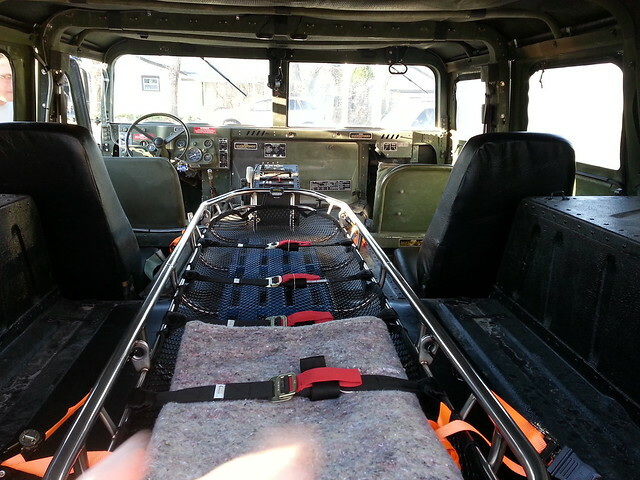 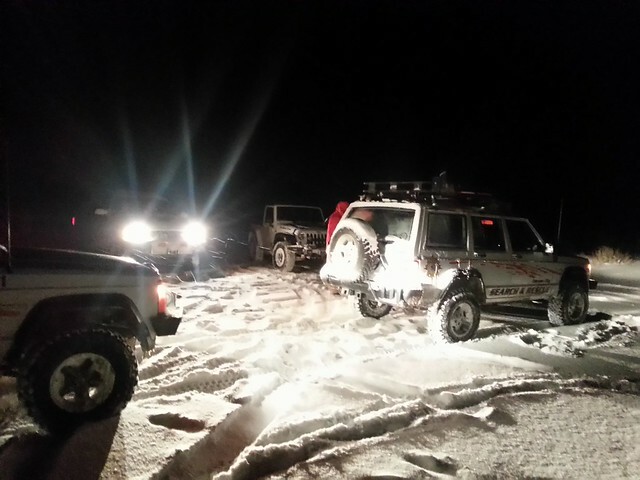 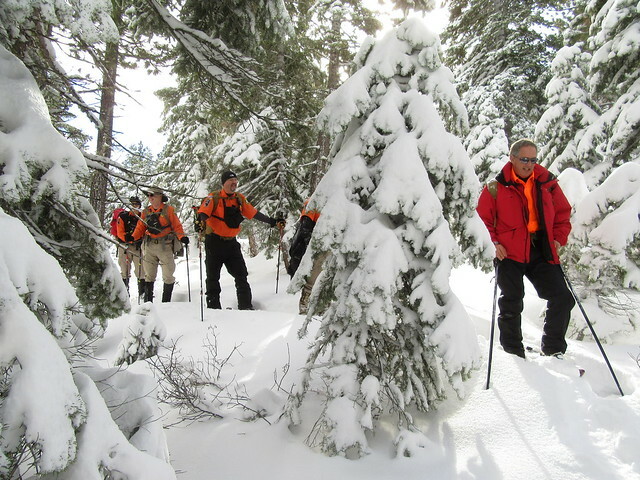 The SAR team faced many challenges, using our training to not get stuck and become victims ourselves. 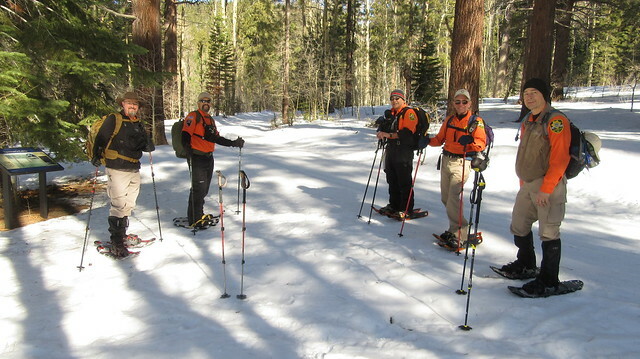 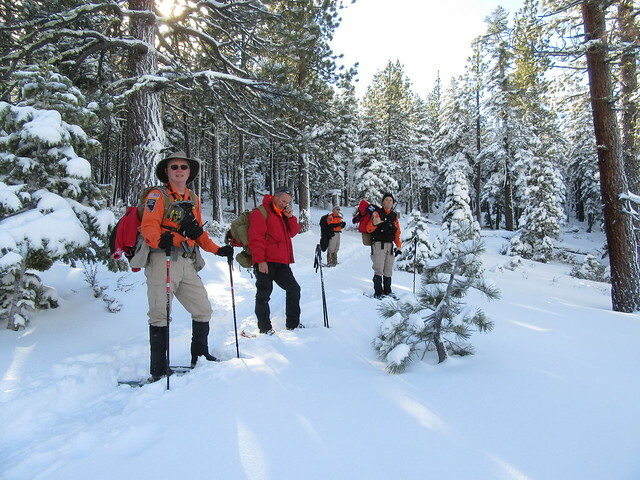 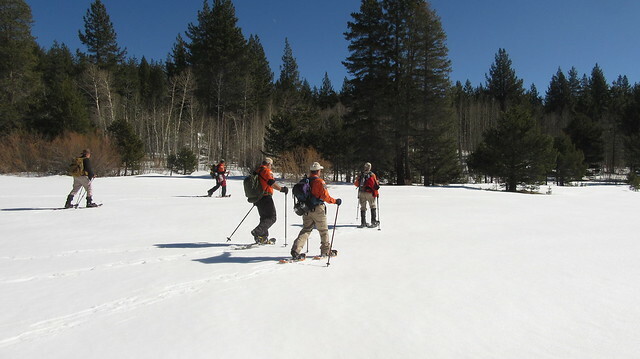 In addition to the snowy callouts, we got up in the Carson Range for snowshoeing exercises. 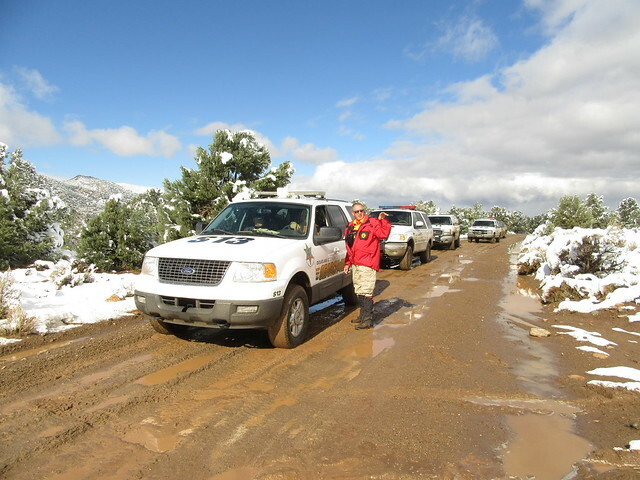 Wet conditions have persisted into the Spring, and there has been a wide variety of weather. 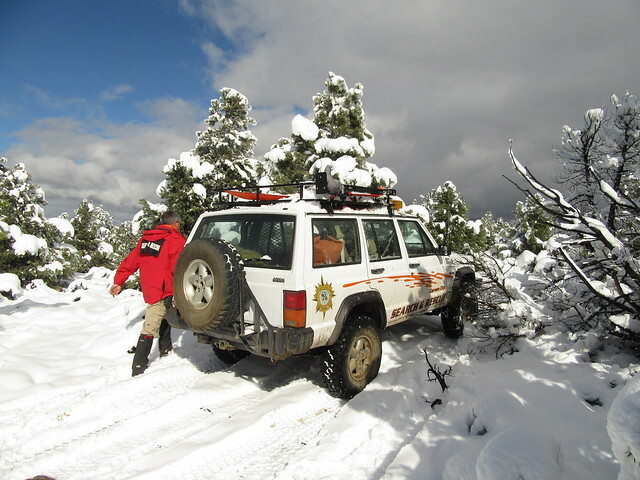 Warm and sunny one day, snowy and muddy the next, creating conditions to trap people in the backcountry. 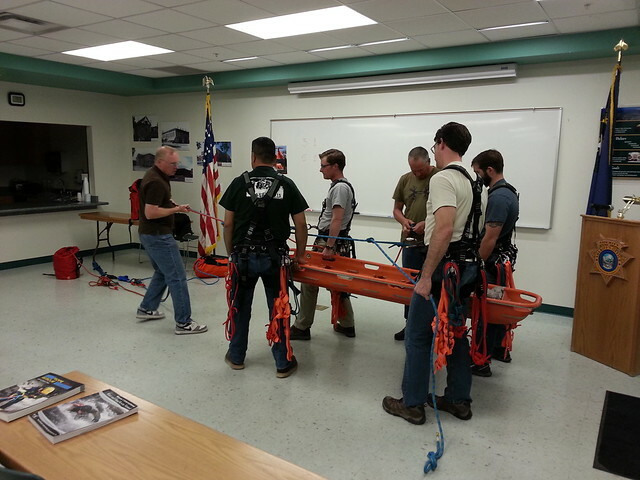 When we’re not out on missions are conducting field training, SAR meets twice a month in the evening to train in the classroom.